Queensland’s leading Indigenous arts collective, proppaNOW, was set up in Brisbane in 2003 to give urban-based Aboriginal artists a voice. They present a unique and controversial perspective of black Australia which is sometimes confronting and always thought provoking. There are 7 members in proppaNOW: Vernon AhKee, Tony Albert, Richard Bell, Jennifer Herd, Gordon Hookey, Laurie Nilsen & Megan Cope. Some of these were former members of Campfire Group that started in the early 1990’s. A focus for this new group is to develop further opportunities and encouragement for Aboriginal urban artists to practice, promote and market themselves and to provide support and mentorship for younger emerging artists as well. ProppaNOW artists group started in Brisbane in 2003. 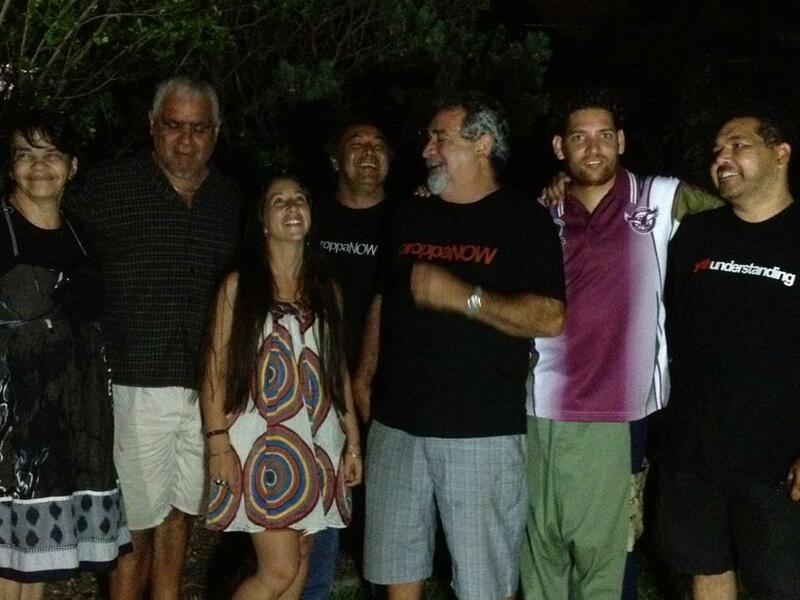 The founding members of this group were Richard Bell, Joshua Herd, Vernon Ah Kee and Jennifer Herd. It was proposed at this inaugural meeting that a group of Aboriginal artists be set up to support each other as artists initially, and also aimed to change ideas that people had about what Aboriginal art is and what it should be. The name proppaNOW best encapsulates the philosophy of what the collective is all about. They approach everything in a considered manner whilst providing a supportive environment for members to explore current social and cultural issues through art. The collective creates art that raises awareness of Aboriginal urban expression that depicts a contemporary story.